FIFA President Sepp Blatter announced on Tuesday that he would resign from his position in the aftermath of corruption charges against several senior FIFA officials that were brought by the United States government late last week. 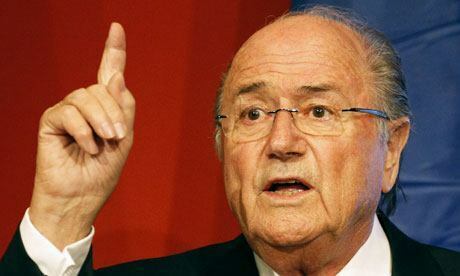 Blatter made the announcement at an unexpected press conference that was hastily arranged in Zurich. Needless to say, there are many people in the soccer world who would vehemently dispute this claim by Sepp Blatter. 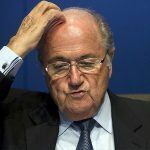 Blatter said that he would not immediately vacate his post. 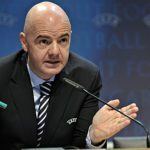 Instead, he would perform the duties of FIFA President until a successor could be determined, with Blatter himself outlining how that process would go forward. Early media reports have suggested that this conference could take place somewhere between four and six months in the future. The decision to resign comes as a stunning turnaround for Blatter, who was just reelected for a fifth term as FIFA President on Friday. In that election, he faced just one opponent, Prince Ali Bin al-Hussein of Jordan, and Blatter’s victory was never in doubt. 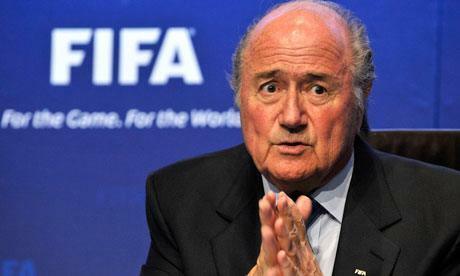 In the first round of voting, Blatter received 133 votes, while al-Hussein received just 73. That was enough to force a second round of runoff voting, but al-Hussein chose to concede the election instead. 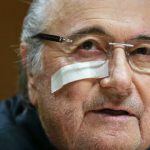 Soon after that election, Blatter appeared triumphant and defiant, remaking that he was the “president of everybody.” But much has changed even in the last few days, even if these events didn’t receive the kind of headlines that last week’s indictments generated. Since those indictments were handed down, there have been rumblings of a World Cup boycott or other actions from UEFA, the European confederation for soccer. While those threats may never have amounted to an actual boycott (Germany, for instance, said that they would not back such a move), there were likely other options on the table, and UEFA would have the clout to put considerable pressure on Blatter and FIFA as a whole. 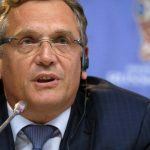 Another concern could have been the implication of FIFA Secretary General Jerome Valcke, Blatter’s chief lieutenant, in an alleged $10 million bribery scheme designed to buy votes for South Africa to host the 2010 FIFA World Cup. FIFA attempted to shield Valcke from the payment while also saying that the money, paid to former CONCACAF president Jack Warner, was part of a “Diaspora Legacy Programme” to support soccer in the Caribbean for players of African descent. However, journalists found that this program had never been mentioned anywhere outside of the one payment to Warner, and a letter talking about the payment sent directly to Valcke was obtained by the Press Association in South Africa only hours after the FIFA denial. In his press conference on Tuesday, Blatter said that “FIFA needs a profound restructuring,” one that would include changes to the FIFA executive committee as well, perhaps including term limits for both the president and the executive committee members. William Hill immediately put up betting odds on who will become the next FIFA President, with current UEFA President Michel Platini being installed as the 6-5 favorite. Prince Ali bin al-Hussein is the second choice at 7-4 odds, while former Portuguese superstar Luis Figo is listed at 6-1. While the change in FIFA leadership likely comes far too late for any changes to the 2018 World Cup in Russia, there is less certainty over how Blatter’s resignation could impact the 2022 World Cup planned for Qatar. While William Hill still has Qatar has the favorite to host the tournament (at 4-7 odds), the odds of a venue change are now just 5-4, or barely more than even money.